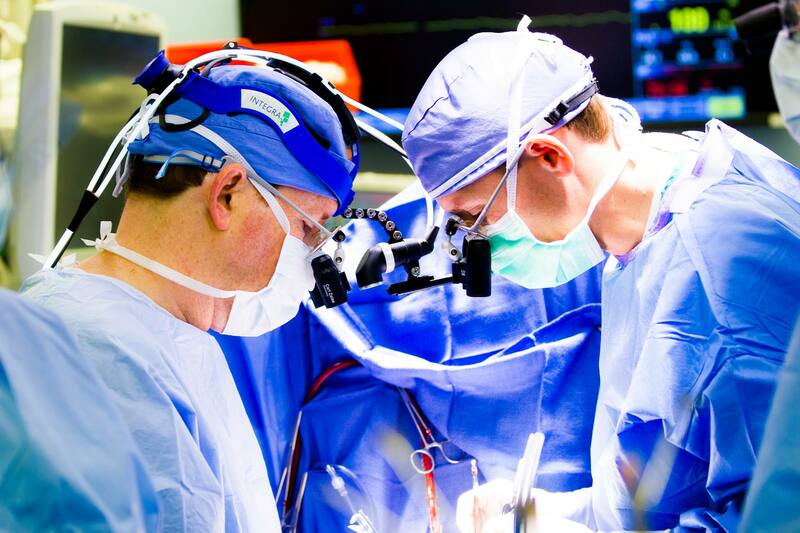 Pictured: Dr. Harold Burkhart and team perform surgery on a pediatric patient with HLHS at The Children's Hospital at OU Medicine. OKLAHOMA CITY, Oklahoma – Mayo Clinic’s Todd and Karen Wanek Family Program for Hypoplastic Left Heart Syndrome (HLHS) and The Children’s Hospital at OU Medicine are excited to announce their collaboration to prevent heart failure in HLHS, a rare and complex form of congenital heart disease. “The Children’s Hospital at OU Medicine has been involved with our program since 2015, and performed the program’s first umbilical cord blood cell delivery in 2016," says Timothy Nelson, MD, PhD, director of the Mayo Clinic Todd and Karen Wanek Family Program for HLHS. "We’re thrilled that they’ve joined the HLHS Consortium because it means that individuals with HLHS will now have more access to participating in groundbreaking clinical trials." Read more about this collaboration on the Mayo Clinic News Network.